Department of Telecommunications (DoT) has provided 10,000 mobile numbers to Pan India 4G BWA spectrum winner Reliance Jio Infocom for trial of Voice over 4G LTE network, as requested by the company. The number series allocated to Reliance Jio is 83378 for trial propose, and it will be used across Mumbai, Delhi and Jamnagar where Jio will soon start the trial run of VoLTE with 4000 mobile numbers each in Delhi and Mumbai and 2000 in Jamnagar (Gujarat). It is not known that which technology Jio to use for voice over LTE-TD. As Jio does not have underlying 2G network, it may not be CSFB (circuit switch fall back), rather it would be VoIP using SPIRIT-DSP’s VVoIP engine. According to our exclusive sources Reliance Jio will use Nokia Lumia 900 and some other smartphones for upcoming trial. 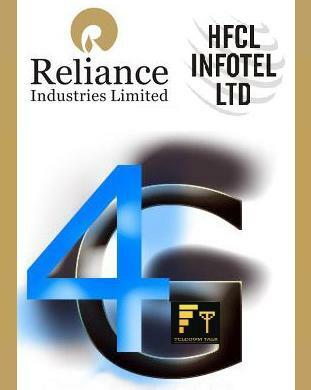 Reliance Industries, whose subsidiary is Reliance Jio Infocomm recently published its financial reports for last quarter and said they have finalized vendors and technology partners for rolling out 4G network. So testing with mobile numbers may be the closest to launch.